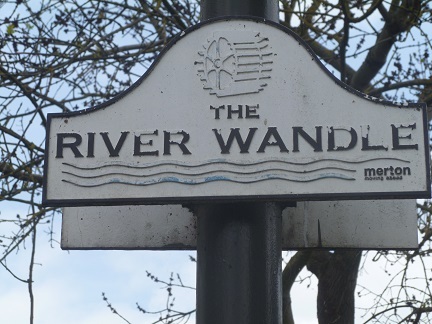 Britain’s hardest working industrial river was never the Thames, Humber or Severn, but the little-known Wandle. It is by no means the longest or most difficult river to follow, with its short 14 mile course between south London and Wandsworth making an excellent day’s walk. It is by no means the shortest river either, with Montana’s Roe River having a course lasting a little more than 60 metres. 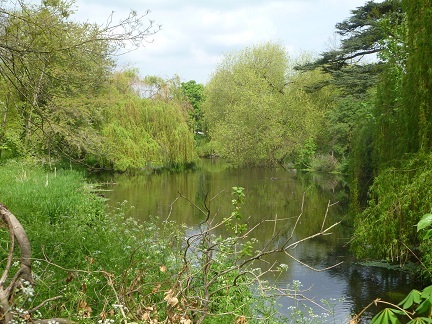 I followed the Wandle Trail from East Croydon Station, a 30 minute walk to recently regenerated Waddon Ponds, the river’s first source. From there the Wandle Trail signs become obvious, and the path takes up a pattern continued throughout its length of linking parks and nature reserves along the route via an amalgam of river paths. It’s also pleasing that it’s rare for the path to veer away from the river, though there is a constant need to switch banks to avoid private property. The free guide is certainly easy to use and more accurate than most Lonely Planet maps (though some updates are required); the written descriptions read a little like the shipping forecast: “left, continue straight, good, occasionally poor at times”. There are some interesting architectural oddities such as Carew Manor in Beddington Park, as well as the remaining mills, of which there used to be 90. That’s 6.5 mills per mile of river. A second source bubbles out of the grown at Carshalton Ponds, around 2 miles from the first. The Wandle breaks off into several branches as it continues roughly north, perhaps a result of industrial diversions. The main channel runs on through Watermeads National Trust land and Ravensbury Park, some of the most attractive areas of the river. Trees hang close over the gently rippling water among nesting moorhens and escaped green parakeets squawking noisily amid the crows. Beyond the island around Merton Abbey Mills the trail becomes increasingly suburban, leading from parks into the south London housing stock, before dipping back towards the elongated shape of King George’s Park, Wandsworth, a part of London that takes its name from the river. The trail ends on a bridge facing the Wandle’s entry into the Thames at Wandle Creek, the last of a cryptic series of plaques along the route marking the point.